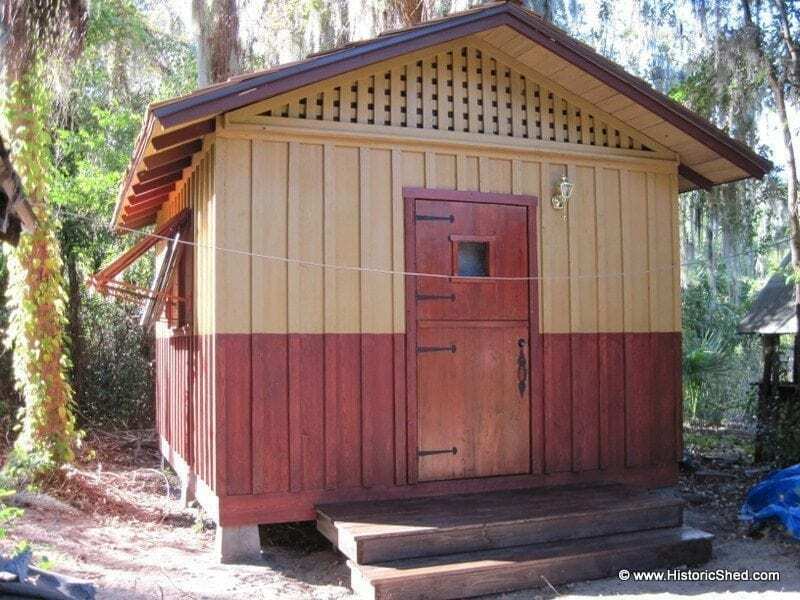 About a month ago we wrote about an 8'x8' shed we built to complement an American Foursquare home in the Tampa Bay area. Shortly after posting, we designed and built a slightly larger hipped roof shed to complement another American Foursquare home, this time in central Florida. The second shed was similar to the first in many ways due to the similarity between the two Prairie style-influenced homes; both sheds have low pitched hipped roofs with beadboard boxed eaves that define the overall form, lap siding with cornerboards, and both are painted in similar color schemes to complement the main house. While we feel a personal connection with every shed we design and build, the new owner's response made this one feel particularly special: "LOVE, LOVE, LOVE it!We have had so many compliments on it and several people have asked who did it for us. I have given your contact information out to several people - hopefully you will get a referral!Thanks again - we enjoyed working with your company and your husband does QUALITY work."